Most of us know how the American Declaration of Independence came into being. Brave Americans who had had enough of British rule wrote it to show that they were no longer willing to let a sovereign in a foreign country decide how they should do things. It is a very important document to the American people and one assumes that it has also resided under thick glass in some official building for the entire world to see. 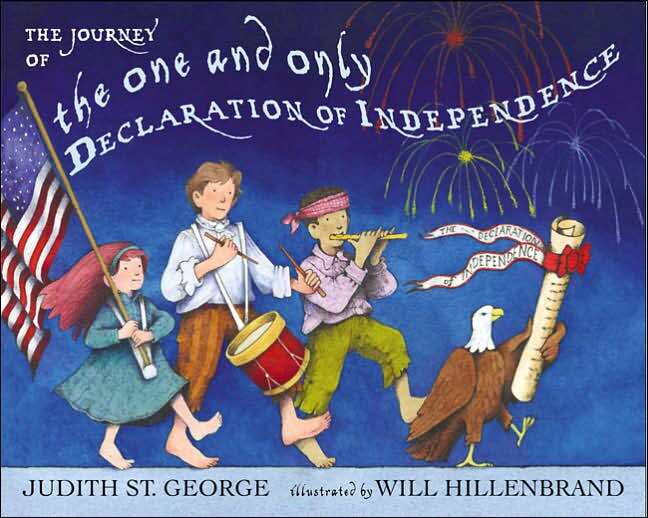 This rollicking story about the Declaration of Independence will both amuse and fascinate children. Who would have thought that a piece of paper could have had such a wild and exciting existence? Truly one cannot help thinking as one reads this picture book "if only paper could talk." Once again Judith St. George has made history fun and accessible for young children through her lively text. By peppering the text with all sorts of little-know facts, she makes the story entertaining and educational.